“A lot of people find (the lights) very disorienting. They also worry about interruption of sleep cycles with that blue light,” D.C. Council member Mary Cheh said. WASHINGTON — Bright LED streetlights, which some residents say keep them awake, are coming to more D.C. streets. But a districtwide rollout is in a holding pattern ahead of a council hearing next month. The District Department of Transportation has temporarily agreed to limit installation of the energy-efficient streetlights, D.C. Council member Mary Cheh said, to highways or areas where D.C. police or a local advisory neighborhood commission has specifically requested the change. The benefits of the LEDs include energy savings and better lighting in areas where police or neighbors hope to deter crime. “The problem is, we’re discovering that certain kinds of LED lighting have their own negatives,” Cheh said. The American Medical Association warned last year that the brightest blue-white LEDs can make it harder for people to sleep, because the wavelengths of light that are emitted interfere with melatonin production. Those types of LEDs can also produce dangerous glare, the AMA warned. “A lot of people find that very disorienting. They also worry about interruption of sleep cycles with that blue light,” Cheh said of complaints she has heard from areas where the lights have gone in on somewhat of a pilot basis. These types of lights, which Cheh said are “aesthetically obnoxious” to some people, may also have an impact on some animals, she said. Cheh chairs the D.C. Council’s Committee on Transportation and the Environment, for which she has scheduled a hearing early next month on what DDOT calls its “Streetlight Modernization Project.” The plan was first put out for bids in summer 2011. But after years of litigation over how the contract was awarded — revealing the government failed to follow proper procedures — that request for proposals was canceled in 2015. “We were frustrated, but it may have worked in our favor in a sense, because in that interim period, we’ve learned more about these lights, which is why we’re where we are today,” Cheh said. DDOT hopes to issue a new final request for proposals in October, select a preferred bidder in January, and close on a new deal by early spring 2018 to retrofit the city’s more than 71,000 lights in streets, alleys and other public spaces. The installed LEDs would be remotely monitored and controlled. The contract would also include responsibility to repair and maintain the systems in the long term. So companies have the opportunity to make money from the installations by offering Wi-Fi, cellphone boosters, information kiosks or sensors. New LEDs being installed have somewhat less-harsh blue light than those installed a few years ago, because the city has been able to use newer LEDS with softer tones. According to DDOT data, 5 percent of all D.C. streetlights were LEDs as of last summer. Eighty-six percent were high-pressure sodium, and 8 percent were traditional incandescent bulbs. The city has over 50 different types of streetlight designs with 54 percent on city-owned poles, 39 percent on poles owned by Pepco and 7 percent on poles owned by Verizon. Cheh supports the energy-efficiency goals of the project and said there will be a trade-off between getting the most energy-efficient or cost-efficient lighting and the lighting that works for residents. “Wholly apart from anything else, a lot of people don’t like [the LEDs] because the aesthetics are off as far as they’re concerned,” she said. 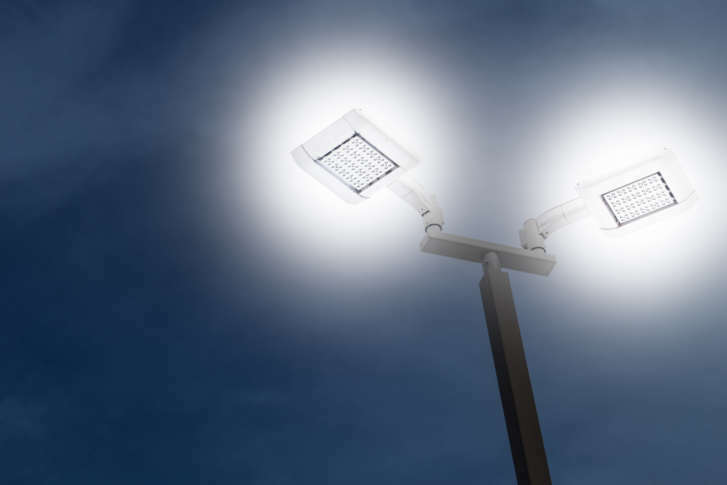 Traditional streetlights emit a softer orange glow than the initial white LED designs, but LEDs can be dimmed or made to emit other tones of light. “I don’t want to make a 20-year mistake here to put them in and then have to take them out again if it proves to be somewhat problematic,” Cheh said. The May 3 hearing is expected to include experts that could help the city set a path forward on the lights. Cheh described DDOT as “somewhat skeptical” that the concerns should derail plans to switch to LEDs.